Those of us who live here would not be surprised by this. We love our city and our neighbors. 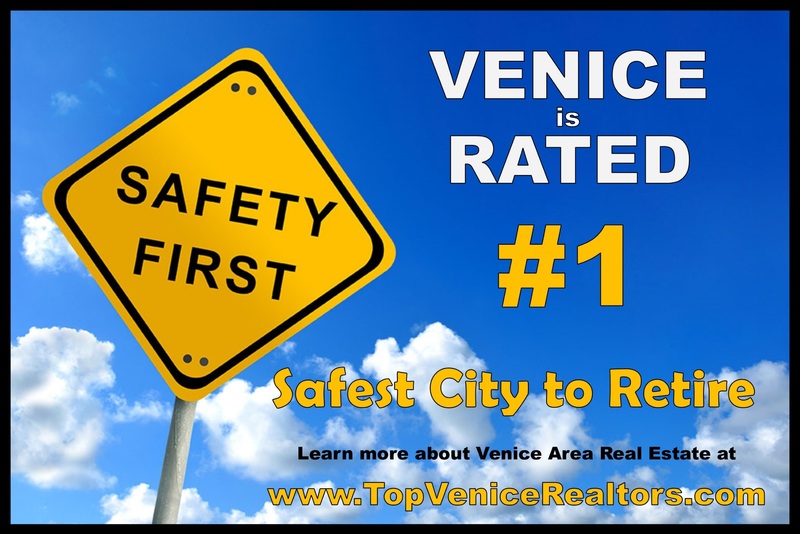 It should be no surprise that Venice has also been voted one of the "Friendliest Sea Side Towns In America". Florida is a Popular – and Safe – Choice: 4 of the top 20 (and 9 of the top 100) safest cities to retire come from the Sunshine state. Several of these cities have extremely low crime rates and the highest populations of 65-plus year old residents in the country. Located near Sarasota, more than 52% of this beach paradise’s residents are age 65 and above, making it a top retirement destination. At a crime rate of just 1.8%, it’s also one of the top 40 lowest ranking cities for crime in the U.S. Retiring in Venice means residents can enjoy 31 municipal parks, central downtown shopping and a very affordable cost of living. With a crime rate of just 1.5%, North Port is in the top 5% of safest cities in the U.S. And thanks to its 22% of residents that are 65 years old and above, the city is yet another popular destination to retire. Housing costs are extremely affordable as well, and it’s just a stone’s throw away from the beaches.